Homeopathy has been used worldwide for over 200 years, but goes back as far as Hippocrates, who suggested that the patient’s own healing ability was vital in choosing the right cure. 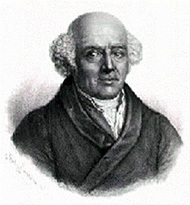 The German physician Dr. Samuel Hahnemann (1755-1843) developed the scientific and philosophical foundations of Homeopathy and published them in the Organon of Medicine. Prescribing is based on all aspects of a patient’s health condition, personality and lifestyle. Every case is treated differently and no two patients are alike – even if they have the same diagnosis of illness. Working on the principle ‘Curentur Similia Similibus’, which means ‘like treats like’, the homeopath will try to find a remedy which matches the symptoms of the patient as close as possible. A dose of this remedy will quickly bring relief and give the right impetus to the self healing powers of his body; the curative action will start and healing takes place from within the body. The immune system is strengthened and the body returns to a state of health. Homeopathic remedies are drawn from natural substances including from plants, minerals and animals. Regulated homeopathic pharmacies prepare the remedies from minute amounts of the raw extracts, which are then repeatedly diluted and potentised. This method guarantees that the remedies are safe, non-toxic and non-addictive. They can be prescribed to all age groups, including babies and during pregnancy. Homeopathy can be safely used alongside drugs prescribed by your doctor and will not interfere with their action.